Tokyo Electric has determined that it will cease use of AREVA’s decontamination system, which uses chemicals to remove radioactive materials from water, as it has not lived up to expectations since it was installed. The utility will file an application with the Nuclear Regulation Authority in order to scrap the system. The decontamination system was set up in June 2011, three months after the onset of the Fukushima Daiichi nuclear disaster. The design was so complicated that it took 50 welders more than a month to put the system together. In the first three months, the system processed 76,000 tons of contaminated water, but was repeatedly forced to be shut down by a variety of problems. For the last three years the system has been unused and kept out of operations and in the meantime, TEPCO has introduced a new system to process the ever-accumulating amounts of contaminated water at the crippled plant. 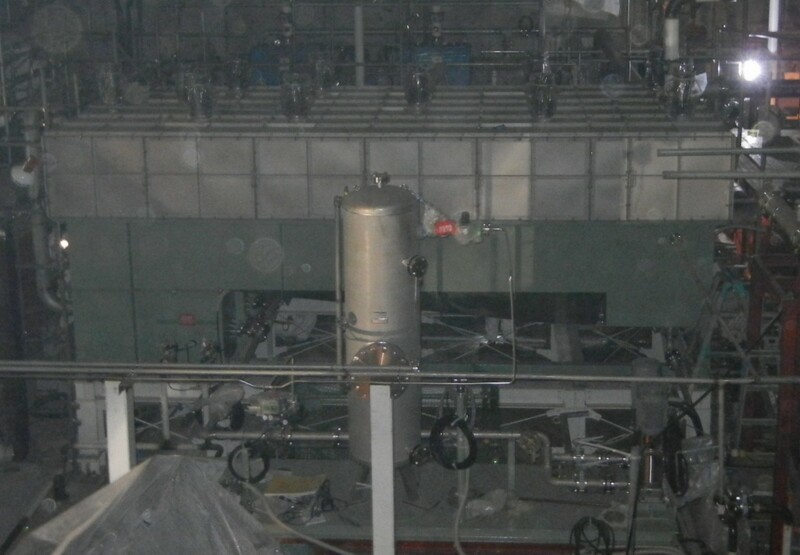 One of the problems will be dismantling and disposing of the decontamination system, as it has become contaminated itself after processing the radioactive materials. The radiation levels measured in the system posed a risk to workers during operation and maintenance of the system. TEPCO is still facing an uphill battle when it comes to dealing with water storage at the Fukushima Daiichi plant. Underneath the plant, an enormous amount of ground water continues to flow directly into the ocean. The utility has a limited amount of water it can store in storage tanks on site, and need to both stem the accumulation of contaminated water on site and the amount of contaminated water reaching the Pacific Ocean. Three months ago, TEPCO attempted to divert some of the flow of ground water with an underground bypass, but failed to achieve any meaningful results. The utility filed another application with the NRA this week, which if approved, would allow them to construct a new system for the collection and discharge of contaminated groundwater after it has been processed in order to remove some radioactive materials back into the Pacific Ocean. This new groundwater dumping plan will likely face fierce opposition from local fisherman, who feel like they have been making continual concessions for TEPCO – which will undoubtedly affect the future of their own ability to operate, with little or no results.